Celergen is a pharmaceutical grade food supplement approved by Swiss Federal Office of Public Health. One of the proprietary ingredient (Bio-DNA Cellular Complex) helps the body recover after exercise and boost stamina levels. 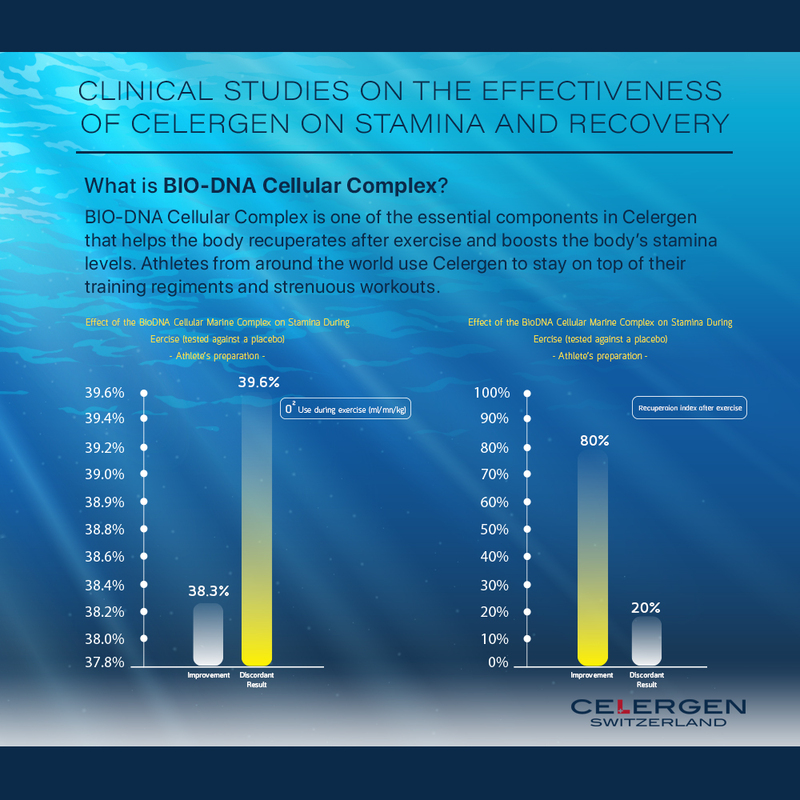 Athletes from all around the world have used Celergen to stay on top of their game – whether it’s the strenuous workouts or their rigorous training regiments.